After leaping forward and beyond our atmosphere to 2205 Anno is back on Earth and, thanks to faster than light travel complications, back in the year 1800. Now it s on you to lead the industrial revolution and irrevocably change the world. Taking the world from the end of the age of sail deep into the age of steam, you ll have some big decisions to make. Will you innovate or exploit? Conquer or liberate? If history s anything to go by, it ll be a mix of all of the above. Leading your civilisation through the industrial age will mean some tough calls on how to treat your citizenry. Treating them well and keeping your cities attractive will keep them happy, but the world is speeding up and there s competition at every turn. Discovering the New World will help, though. Exploring out from the smog-cloaked cities of Europe to discover the jungle-swept landscape of South America will open up new land and resources for you to build and draw on. The rich backdrop of innovation and intrigue is perfect for the Anno series, with loads of opportunity for diplomacy or, if you re feeling more aggressive, war. 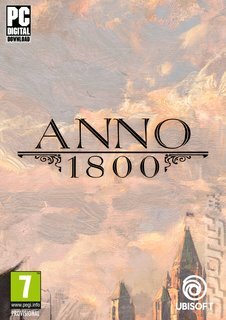 All the classic features of the Anno series are here city-building, a story-based campaign, multiplayer and a deeply customisable sandbox. There are new touches as well, though send teams of specialists on globe-spanning missions and use the new workforce feature to go deeper than ever when it comes to managing your factories. A new world is out there for the taking!